Newburyport: Tom O'Rourke with daughters Katie, 11, left, Emma 10, and wife, Sue Tabb. 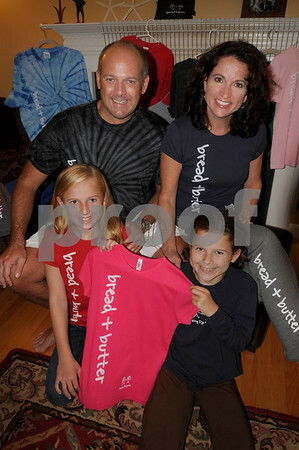 They're selling a line of clothing brander Bread and Butter to raise money for local food pantries. Bryan Eaton/Staff Photo Newburyport News Wednesday September 2, 2009.